This week, again, there is no theme. Read the rest of the NSR Blog posts at NSR Week 14. This continues from Part I, Part II, and Part III. One of the problems with people claiming that naloxone is diagnostic, or that there is something to be gained by drawing conclusions from a response to naloxone, is that it is just bad logic. While we do not care that much about swans in EMS, the occasional dying swan act is just something we occasionally need to deal with. The problem of drawing inappropriate conclusions may be our biggest problem. Claiming that naloxone is diagnostic is not any different from claiming that all swans are white. I have seen many swans. Therefore all swans are white. That may be true, but there is no way that we can prove this. How many swans do we need to see to be able to draw this conclusion? We need to see all of them. 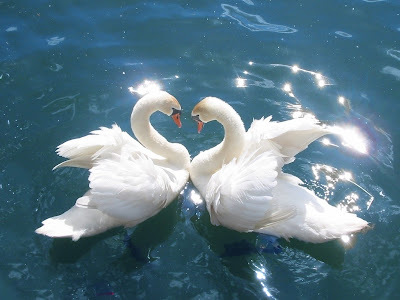 So we round up all of the swans in the world and observe that they are all white. Then we are sure. We also have to examine all past swans and all future swans. There may have been a species of non-white swans that became extinct. There may be a genetic mutation, or there may be genetic manipulation, that would lead to a non-white swan. Therefore, how many administrations of naloxone to opioid-free people do you need to observe – without response – to be able to state that naloxone is diagnostic for opioids? We can conclude that it seems that naloxone is a way of identifying opioid consumers, but that we reserve judgment on something that cannot be proven. So there is no way to prove this? But there is a way to disprove this. Because bad logic leads us to make mistakes. In EMS, it is fortunate that we are only playing with patients’ lives. So why worry about making bad decisions? Especially, since this is not a decision likely to kill anyone? Even though this is not likely to kill anyone, similar logic is not so benign. So, how do we disprove something like this? How many non-white swans would it take to prove that not all swans are white? It is such a fragile and useless conclusion, that to disprove it requires one and only one example of failure of the supposed rule. An exception does not confirm a rule. An exception demonstrates that the rule is faulty. 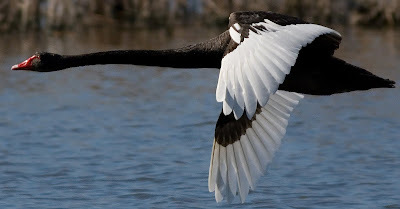 Note that the Black Swan is not just a metaphor: until the discovery of Australia common belief held that all swans were white; such belief was shattered with the sighting of the first cygnus atratus. How many ways do I need to demonstrate that it is foolish to conclude what a person may have consumed based on their apparent response to a medication – a medication that has a long history of being wrong? Well the patients who were postictal (recovering from a seizure) were clearly not patients who should have received naloxone. Is that because a competent assessment is better at diagnosing the presence of opioids? That eliminates any reason for using naloxone diagnostically, doesn’t it? Seizures can occur secondary to opioid use. Stroke/TIA (Transient Ischemic Attack) can also appear to respond to naloxone without any opioid consumption. Alcohol can respond to naloxone. Clonidine can respond to naloxone. These are not opioids. Squirting naloxone in the veins, muscles, nares, tongue, . . . of every unconscious person does not diagnose the cause of unconsciousness. This drug abuse (abuse of naloxone by EMS) may mislead us. If we give naloxone to a person who had a seizure, the patient appears to respond, and we then decide to treat the patient as a drug addict, is there a possibility for harm to the patient? Aren’t we supposed to treat seizure patients for seizure, rather than for an imaginary drug overdose? If we give naloxone to a person who had a stroke, the patient appears to respond, and we then decide to treat the patient as a drug addict, is there a possibility for harm to the patient? All this is doing is teaching us, or reinforcing, bad diagnostic skills. Aren’t we supposed to be doing just the opposite? Science is only valid if there is a way of disproving the hypothesis. Anything that cannot be disproved is not science. This use of naloxone to diagnose is not science. This use of naloxone to diagnose is pseudoscience and needs to be opposed. I loved that book. And you’re right; logical errors like this abound in medicine, which is sometimes more about Ego than Evidence.